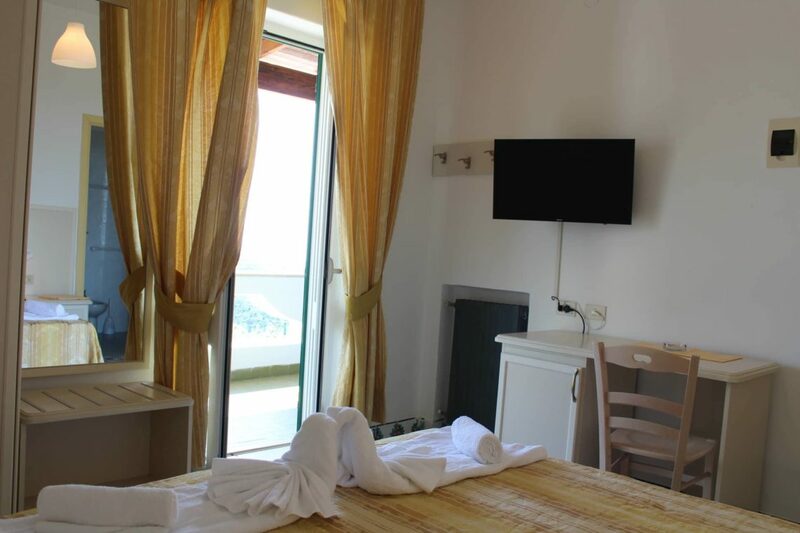 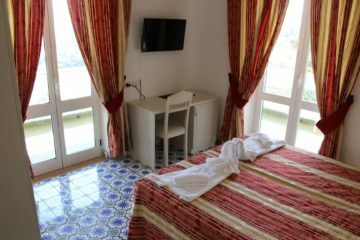 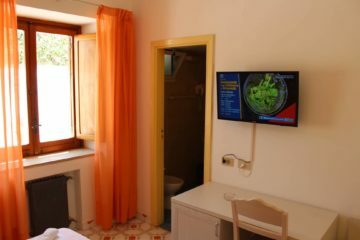 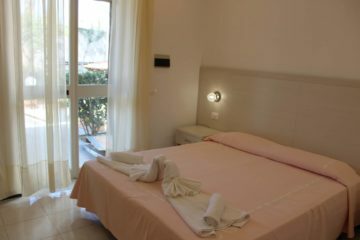 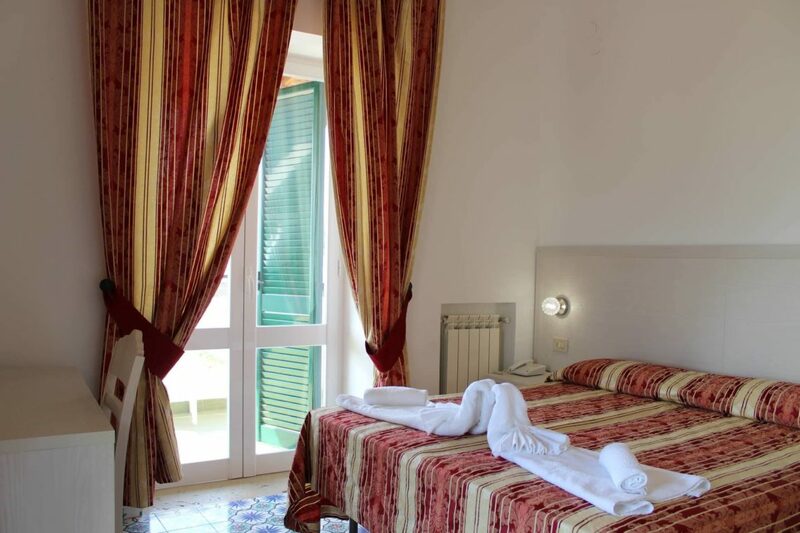 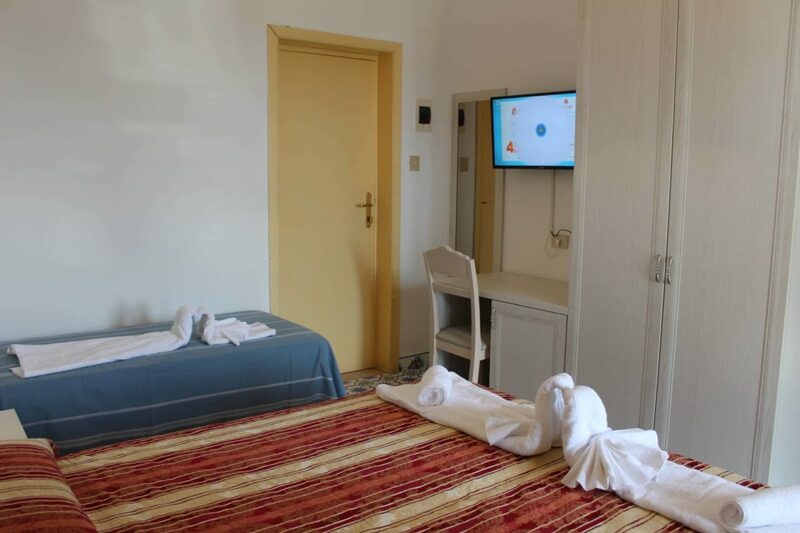 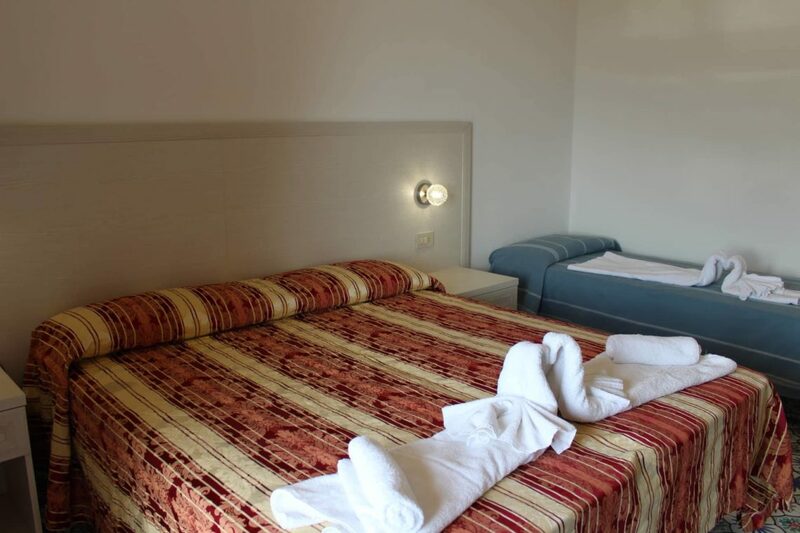 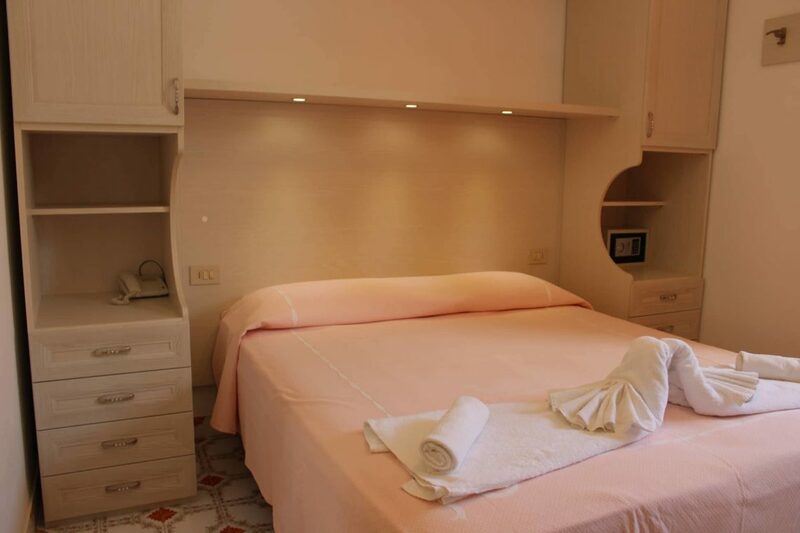 The rooms, 38, are equipped with private bathrooms, hairdryer, direct dial telephone, individual air conditioning and fridge (on request) heating and 32-inch satellite TV with Italian and foreign channels, and last renovation in 2019. 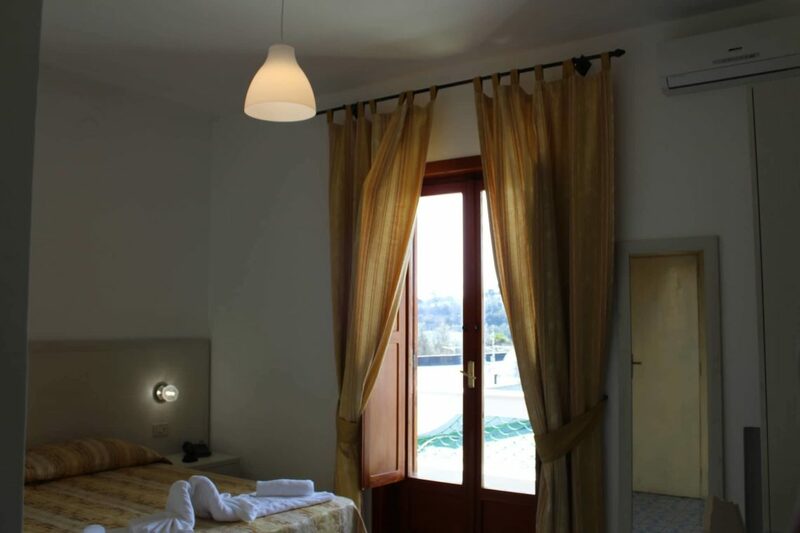 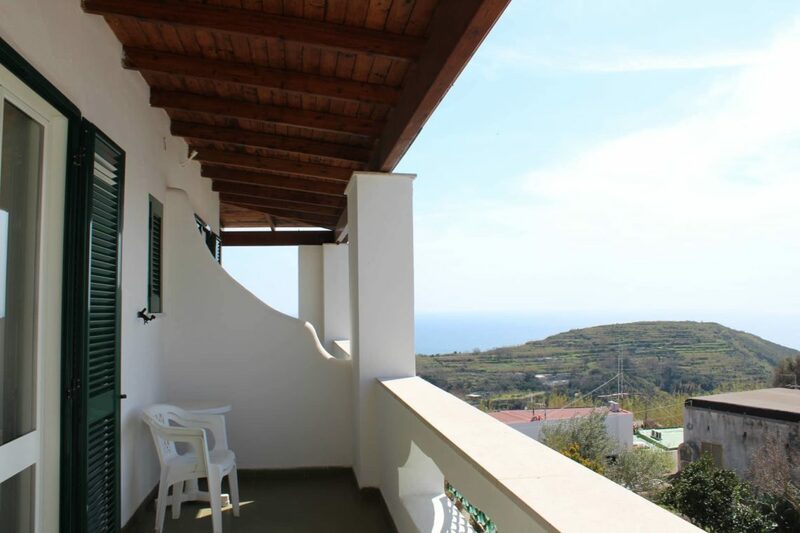 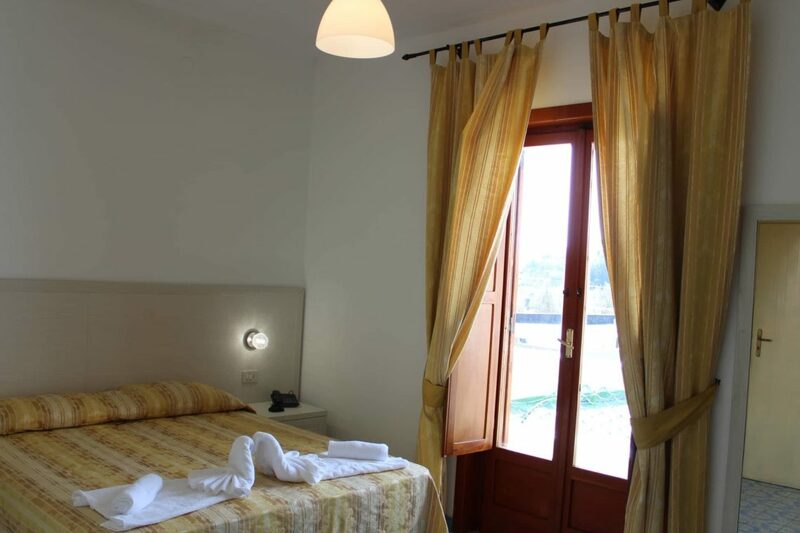 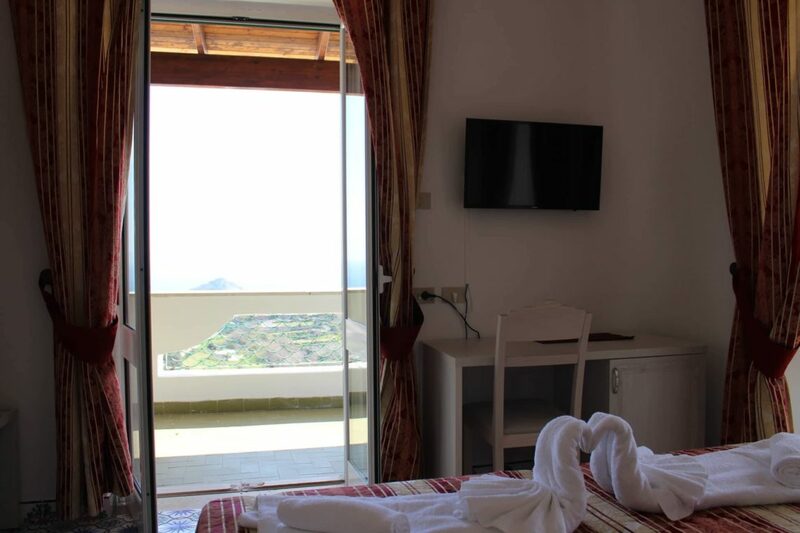 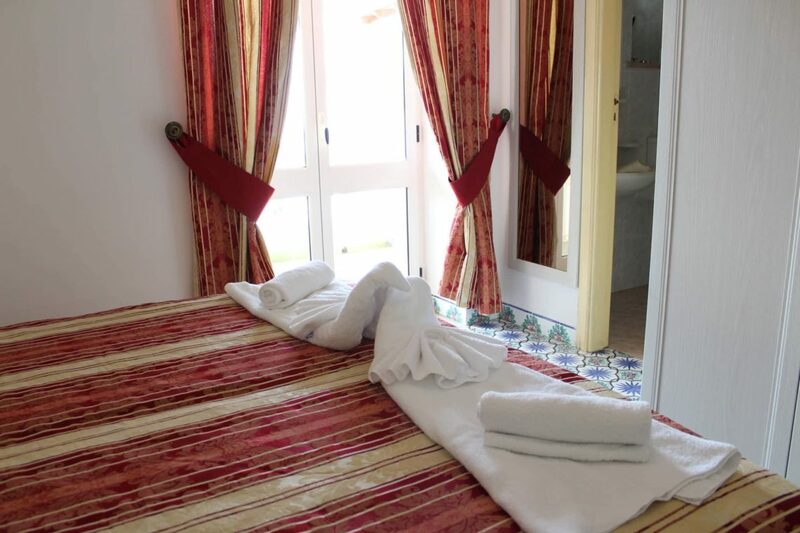 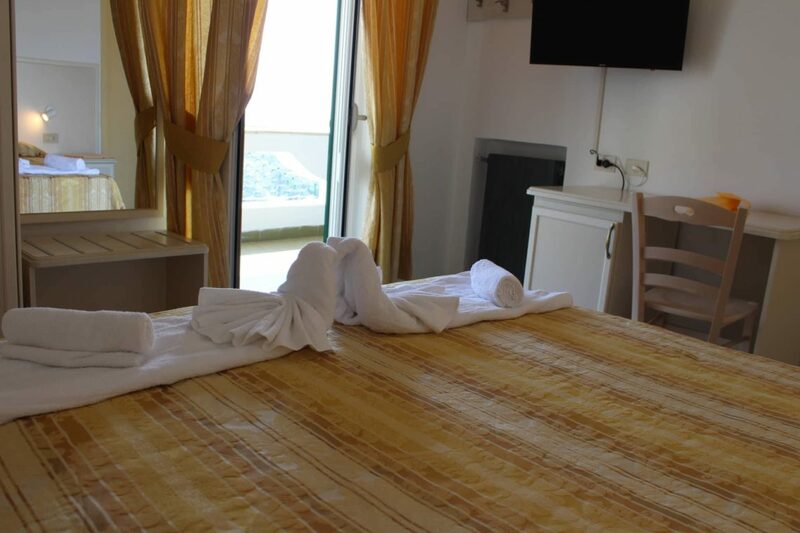 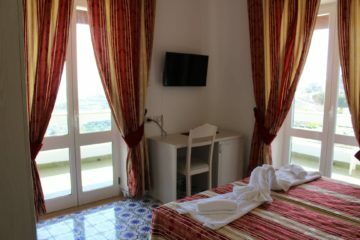 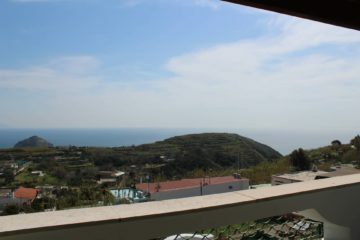 All rooms are equip with balcony or terrace; some have panoramic sea views. 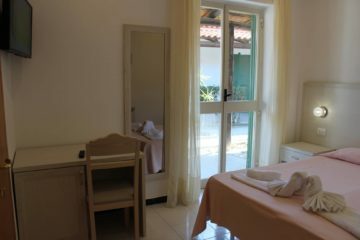 Double room with window / terrace with internal garden view, free Wi-Fi, air conditioning and fridge on request, safe, satellite TV. 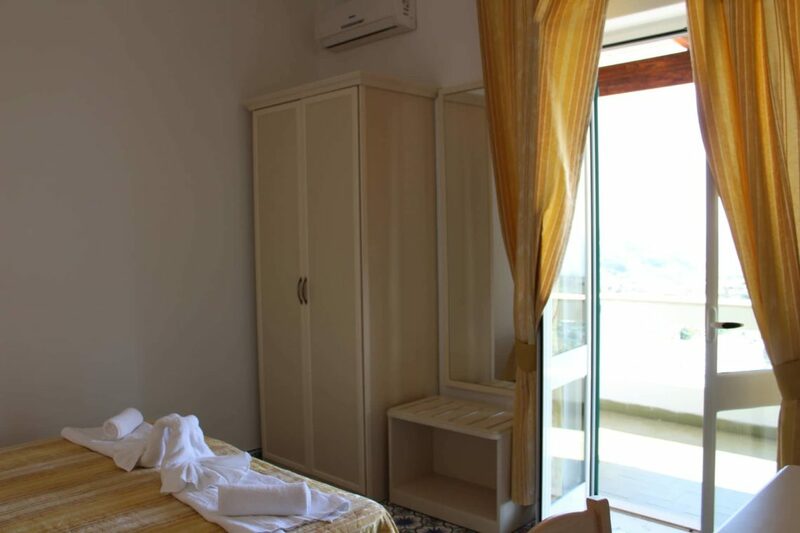 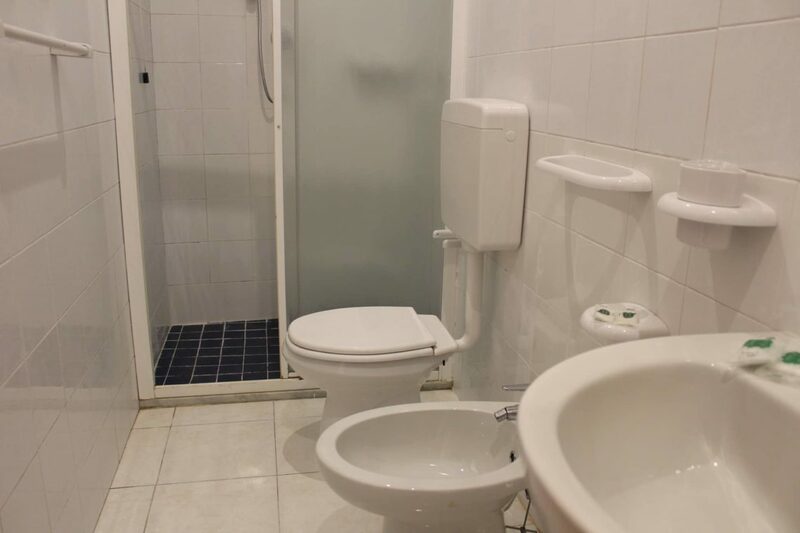 Double standard double room with balcony / terrace with internal garden view, free Wi-Fi, air conditioning and fridge on request, safe, satellite TV. 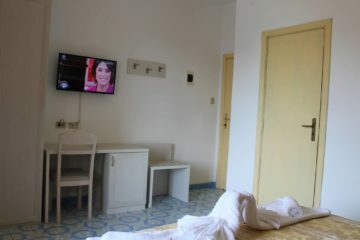 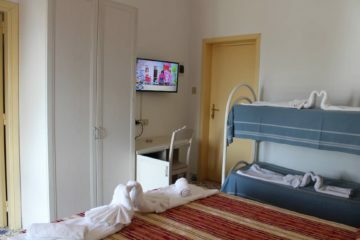 Double room with double sea view balcony, free Wi-Fi, air conditioning and fridge on request, safe, satellite TV. 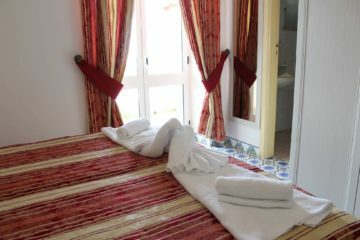 Triple room Balcony / terrace with internal garden view, free Wi-Fi, air conditioning and fridge on request, safe, satellite TV. 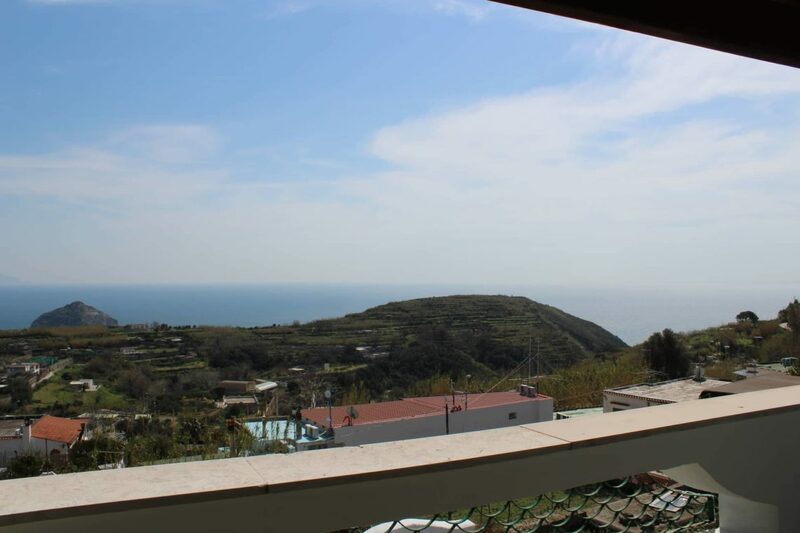 Quadruple room double bed + bunk bed, balcony / terrace with internal garden view, free Wi-Fi, air conditioning and fridge on request, safe, satellite TV. 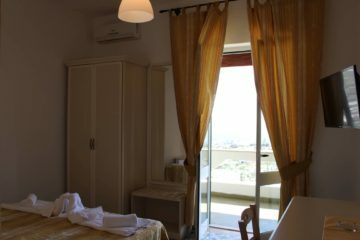 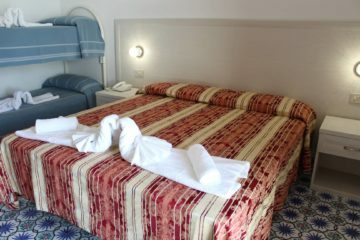 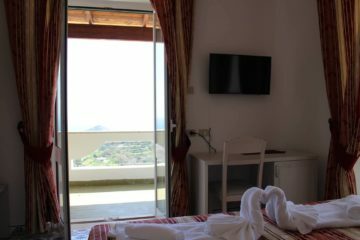 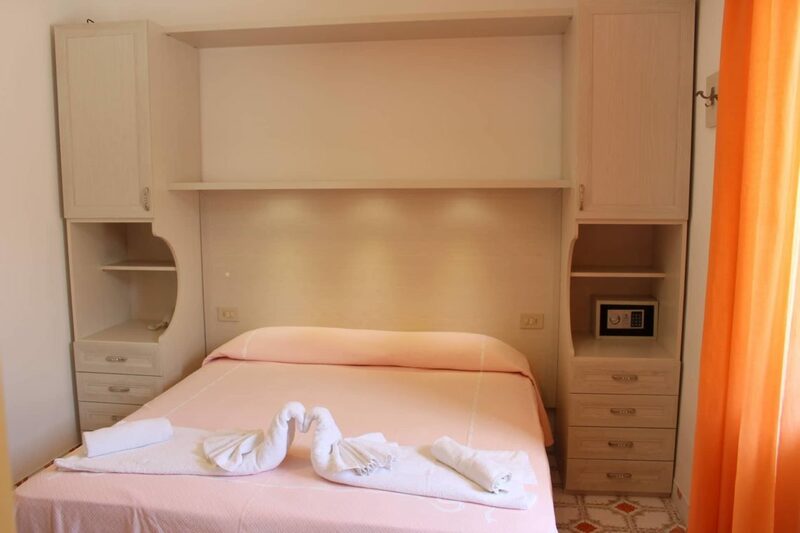 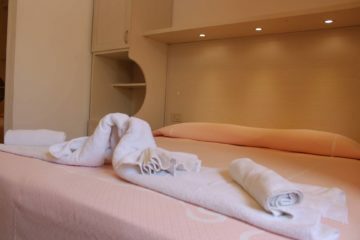 Panoramic Junior Suite with Sant’Angelo / Capri view, large terrace, free Wi-Fi, air conditioning and fridge, safe, satellite TV.